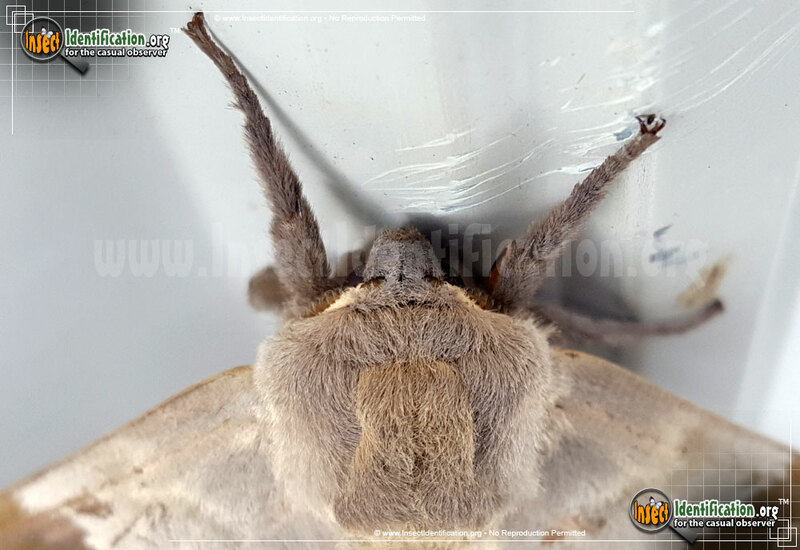 Detailing the physical features, habits, territorial reach and other identifying qualities of the Big Poplar Sphinx Moth. 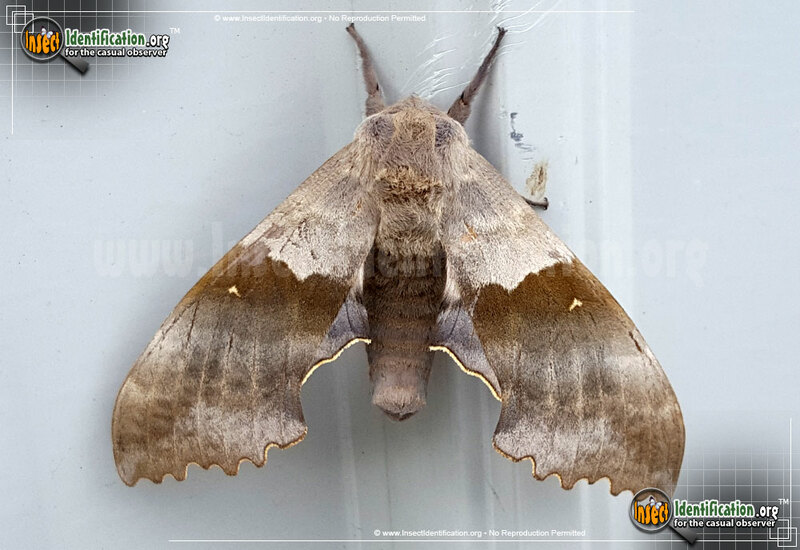 The large and quick Big Poplar Sphinx Moth is at home in the wild and domesticated West. Sphinx Moths are first recognized for their great size. 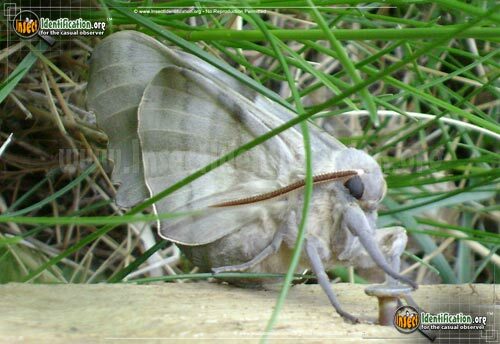 They are the biggest of the Hawk Moths in western North America. 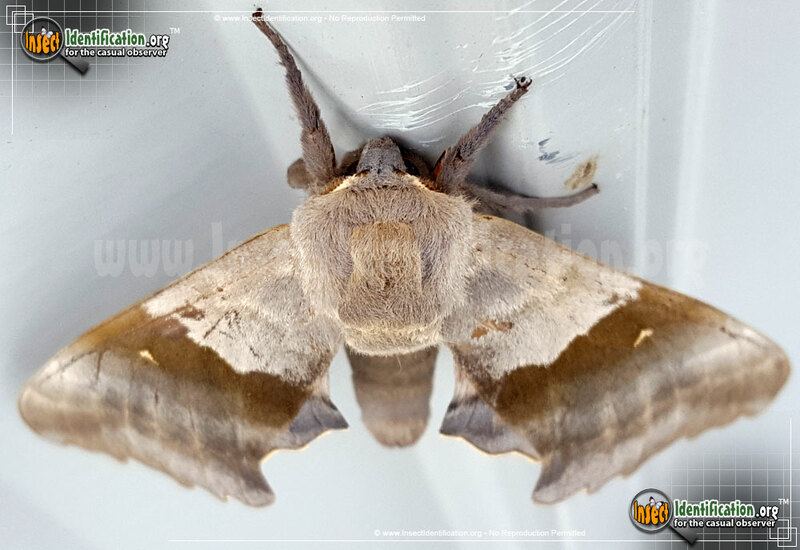 Despite having a huge wingspan over 11 cm (4.3 inches), the enormous, seemingly hefty, Big Poplar Sphinx Moth is exceedingly fast in the air. It may slow down to sun itself on a bright day, but it is mighty in flight, just like a hawk. Adults have furry heads and bodies. Wings are half light brown (near the head) and half dark brown. 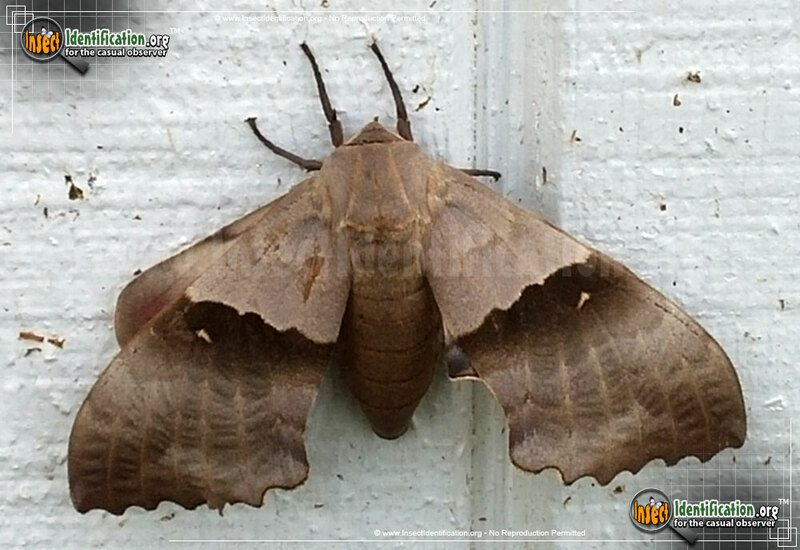 A wavy pattern forms an obvious border in the center of each wing. A scalloped edge at the bottom of each wing mirrors the center line. A thin whitish fringe runs along the bottom edge. A single, small, white dash on the dark part of each wing points toward the rear. Legs are dark brown. 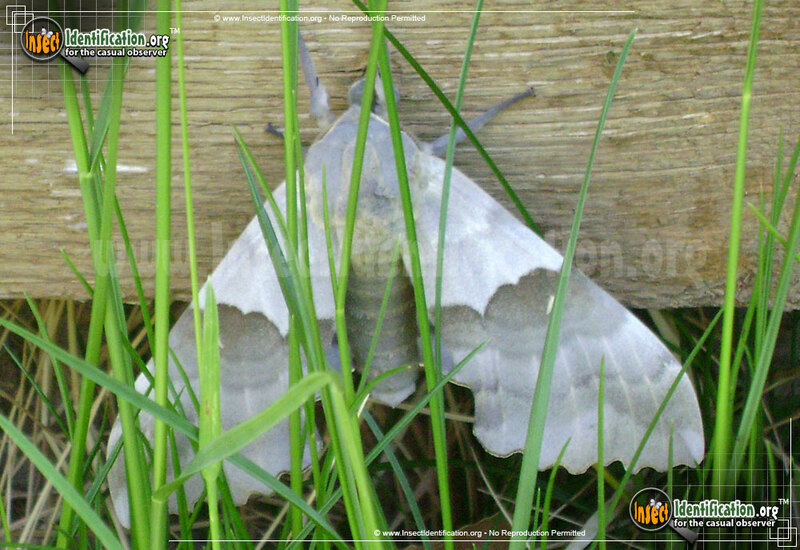 The Big Poplar Sphinx Moth resembles its close relative, the Modest Sphinx Moth. 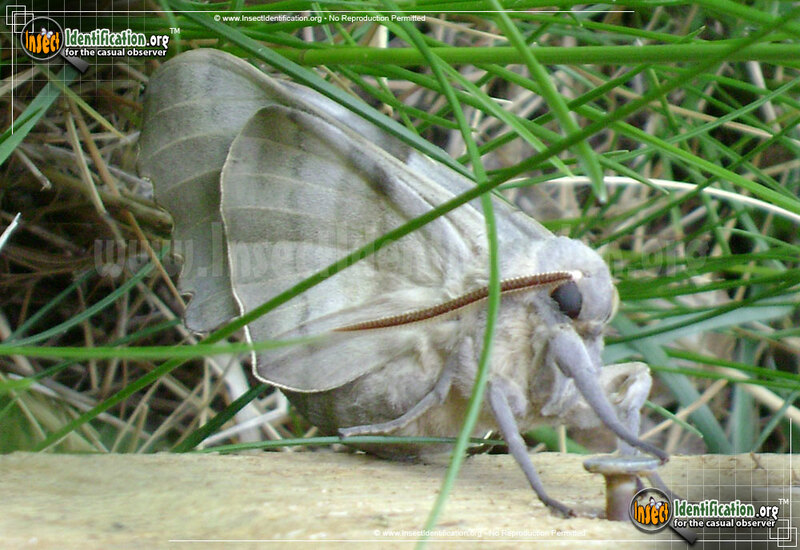 The caterpillar for this moth is a pale green with a sharp-looking horn (that looks more like a thorn) at its tail end. This horn has a pale stripe on it. Thin diagonal stripes run along the sides of the body. Small white spots dot the sides of the tubular body. Poplar, cottonwood and willow tree leaves make up the bulk of this caterpillar's diet. 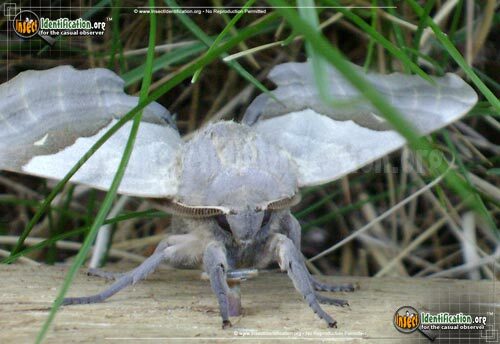 Once it has grown in size, the caterpillar pupates just under the ground's surface in a cocoon made of earth.